How Much Money Do Anesthesiologists Make? Anesthesiologists are physicians who practice in the field of medicine known as anesthesiology. The practice of anesthesiology involves blocking pain via the administration of local or general anesthesia. 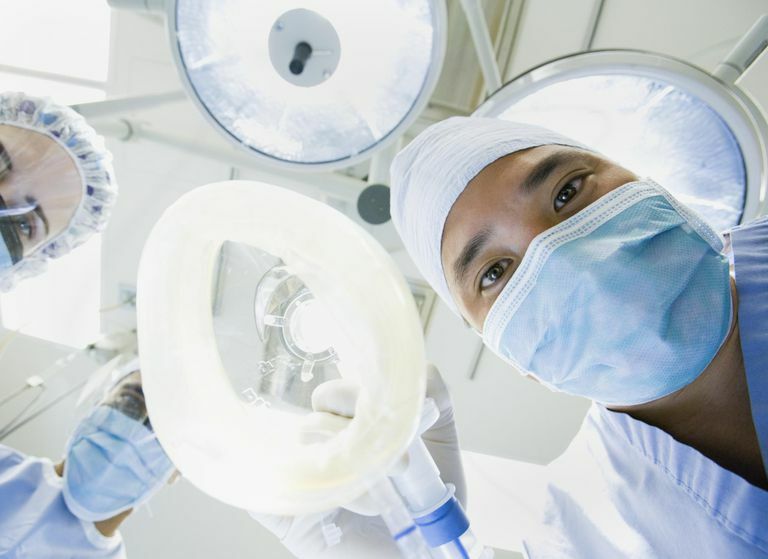 Anesthesiologists are primarily responsible for the safety and well-being of patients before, during and after surgery. This may include placing them in the state of controlled unconsciousness called “general anesthesia,” the provision of “regional anesthetics” where only a portion of the body is made numb, or administering sedation when indicated for the relief of pain or anxiety. The role of the physician anesthesiologist extends beyond the operating room. He or she is responsible for the preoperative assessment of the patient, an evaluation process that carefully considers both the patient’s current state of health and the planned surgical procedure that allows physician anesthesiologists to make judgments about the safest anesthesia plan for each individual patient. The physician anesthesiologist is also responsible for the well being of the patient postoperatively while the patient emerges from the effects of anesthesia. They are often involved in the management of acute postoperative pain, as well as chronic and cancer pain; in cardiac and respiratory resuscitation; in blood transfusion therapies; and in respiratory therapy. Physician anesthesiologists in the United States complete a four-year undergraduate college degree that includes satisfying pre-med requirements. Like other medical doctors, they must follow undergraduate education with four years of medical school. After medical school, a physician specializing in anesthesiology completes a four-year anesthesiology residency program. Following completion of a residency program, residents are eligible to sit for the American Board of Anesthesiology (ABA) exam. Almost 75 percent of physician anesthesiologists are board-certified. Although physician anesthesiologists complete a minimum of eight years of medical training after college, following residency, many also complete an additional fellowship year of specialty training in specific areas such as pain management, cardiac anesthesia, pediatric anesthesia, neuroanesthesia, obstetric anesthesia or critical care medicine. Physician anesthesiologists may also seek certification in one of the following subspecialties, which require additional training and examinations: Critical Care Medicine, Hospice and Palliative Medicine, Pain Medicine. The income of anesthesiologists varies based on a variety of factors such as case volume (or patient volume), local insurance reimbursements, and more. Additionally, the type of practice the anesthesiologist has also determines their average salary. General anesthesiologists are the ones who practice in a surgical setting, whether at a hospital, outpatient surgery center, or dental surgery center, for example. These physicians deaden the site being operated upon, or, in the event of major surgery, administer anesthesia by injection and by gas that will put the patient completely "under" in a state of deep sleep, so he or she won't have any awareness or feel any sensation of the surgery. General anesthesiologists earn $427,956 on average, according to the Medical Group Management Association (MGMA). Some anesthesiologists practice pain management, which is an office based practice helping patients manage chronic pain caused by illness, accident, or other cause. Pain management anesthesiologists administer drugs via oral medication or injection typically. Anesthesiologists who specialize in pain management earn $529,347 on average annually, according to the MGMA. Pediatric anesthesiologists specialize in treating children who are undergoing surgery, and their average annual income is $464,412.